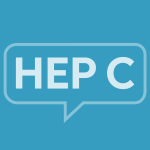 If you have been diagnosed with hepatitis C, your healthcare provider may order regular blood tests to monitor your health and liver. For people with liver conditions (such as hepatitis C), a common group of blood tests is liver function tests. Your doctor may refer to these tests as “checking your LFTs”. Liver function tests measure the enzymes and proteins produced by the liver. These tests can tell your doctor how well or poorly your liver is functioning, and if the liver has been damaged. If your doctor has ordered liver function tests, you may be wondering what the results mean, or if your results are “normal”. In addition to talking to your doctor, check-out our guide to understanding your liver function tests below. This guide reviews the different parts of liver function testing, typical (“normal”) results, and some ideas for questions to ask your doctor. We also have a guide for understanding another blood test- the complete blood count (CBC). Click here to review and download that guide. Friedman LS. Approach to the patient with abnormal liver biochemical and function tests. Uptodate. Chopra S, Travis AC, eds. Accessed at: www.uptodate.com. 2014. Prothrombin time. MedlinePlus. US National Library of Medicine, National Institutes of Health. Available at: http://www.nlm.nih.gov/medlineplus/ency/article/003652.htm. Albumin - blood (serum). MedlinePlus. US National Library of Medicine, National Institutes of Health. Available at: http://www.nlm.nih.gov/medlineplus/ency/article/003480.htm. Gamma-glutamyl transpeptidase. MedlinePlus. US National Library of Medicine, National Institutes of Health. Available at: http://www.nlm.nih.gov/medlineplus/ency/article/003458.htm.